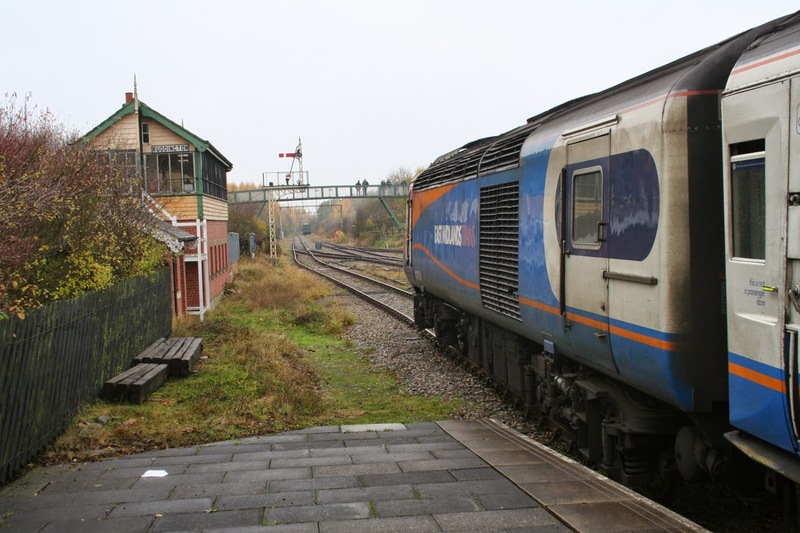 FOCUS TRANSPORT: NOT AN EVERYDAY LOCATION FOR AN EAST MIDLANDS TRAINS HST! NOT AN EVERYDAY LOCATION FOR AN EAST MIDLANDS TRAINS HST! 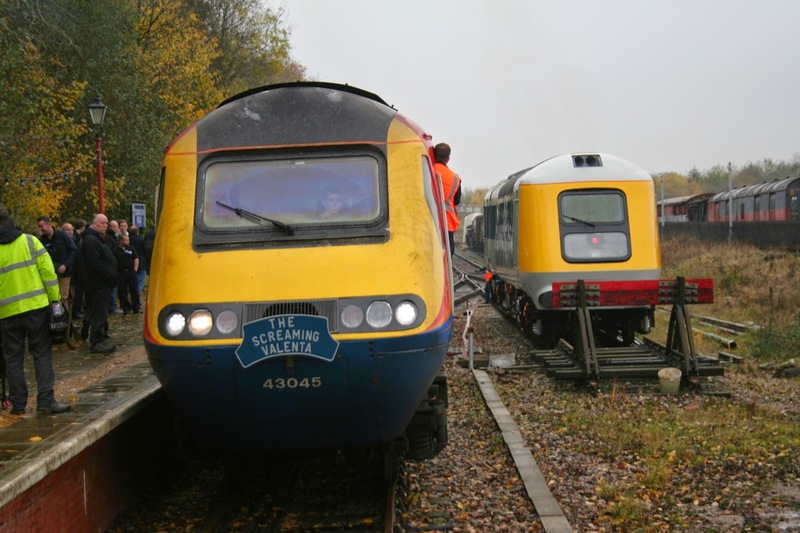 On Saturday 14th November 2014, East Midlands Trains provided a shortened formation, comprising 43054/44041/42111/42327/40730/41084/41057/43045 for a 125 Group charter from Derby to Ruddington Fields, where 43045 was swapped for 41001, working it's first passenger carrying train in 38 years. 43054 is seen at Ruddington Fields, having arrived with 1Z25, 1025 Derby to Ruddington Fields charter. 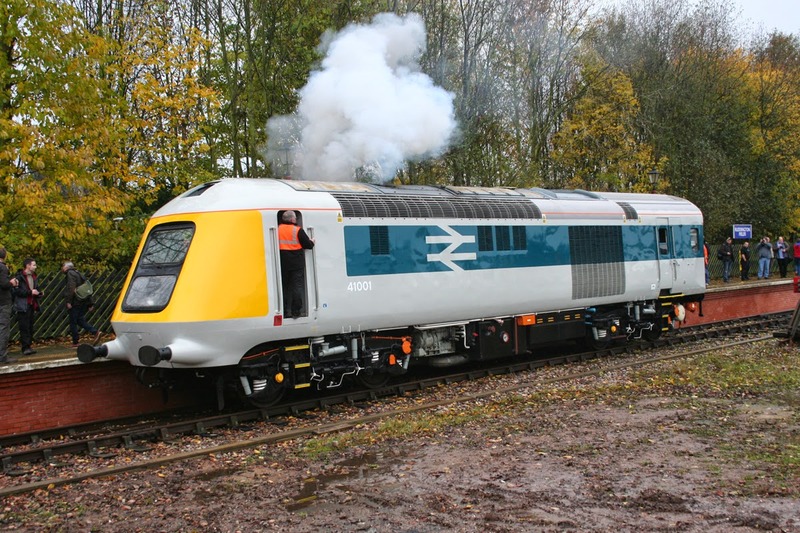 43045, sporting 'The Screaming Valenta' headboard is removed from the charter at Ruddington Fields. Alongside is 41001 waiting to be attached to the train. 41001 takes power as it reverses onto the stock in readiness for working it's first passenger carrying train in 38 years, 1Z41, 1320 Ruddington Fields to Loughborough High Level. Current albums available feature collections from Malta and Manchester. Can we get any more diverse?